Dare County Arts Council and Cucalorus are seeking entries for the 8th Annual Surfalorus Film Festival, returning to the Outer Banks September 19-21. Surfalorus is a free, three-day cinematic synthesis of all things aquatic, featuring an array of the year’s best surf films with a series of sunset screenings and assorted festivities. Film screenings will be held at Dowdy Park in Nags Head (Thursday, September 19), Dare County Arts Council in Manteo (Friday, September 20) and the Outer Banks Brewing Station in Kill Devil Hills (Saturday, September 21). Doors will open at 6:30pm each evening. Surfalorus accepts shorts, features, documentaries and any other surf inspired films by filmmakers of all backgrounds. Films must have been completed within the past two years to qualify. Filmmakers wishing to participate in this year’s festival can submit their films online at FilmFreeway.com/surfalorus. 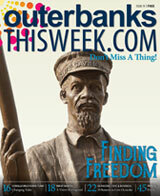 The submission deadline is May 15. For questions about eligibility or submission, please contact programming@cucalorus.org. Awards for Best Short Film, Best Feature Film, Best Soundtrack, Best Cinematography and Emerging Filmmaker of the Year will be presented again at this year’s screenings. The festival will also feature live music, pop-up performances, a surfboard exhibit curated by Steve Wise and locally made ocean inspired artwork. Artists interested in selling their creative goods at the Surfalorus Film Festival can find the application online at DareArts.org/surfalorusfilmfestival. The application deadline is July 1. 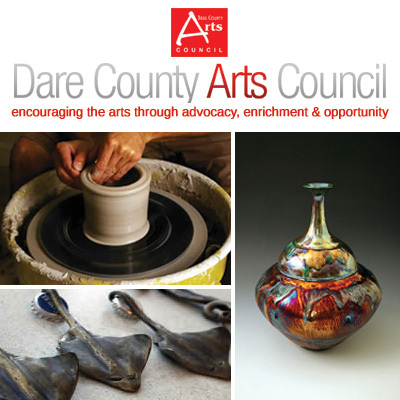 Dare County Arts Council is a 501(c)(3) nonprofit arts organization dedicated to encouraging the arts in Dare County through advocacy, enrichment and opportunity.